Richell's new Také Pet Hammock provides the finishing touch to Richell's award-winning line of designer furniture for pets! 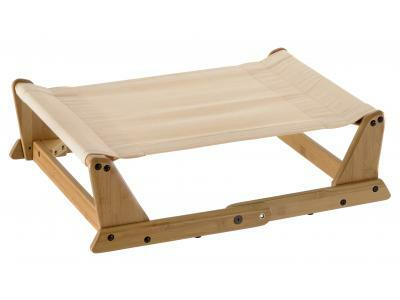 The elevated hammock folds for easy storage or transport and includes removable, washable cover. It's also made from eco-friendly, sustainable bamboo and is available in a beautiful natural finish. 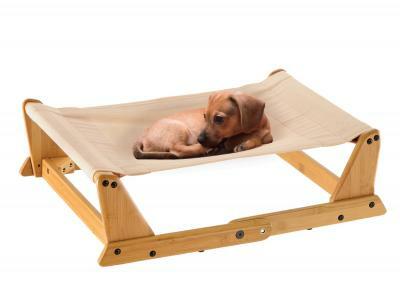 Three hammock sizes (Small, Medium and Large) accommodate pets from 17.6 to 88 lbs. Designed by Richell Corporation, Japan.